Many may consider my approach to intellectual property development as unorthodox – it probably is. It reflects an “invent-to-patent” approach that I believe creates substantially more commercial IP value than the traditional “patent-an-invention” process found in your average corporate environment. 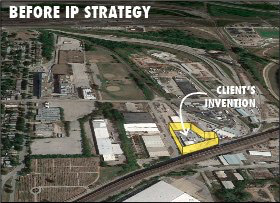 In this article, partially excerpted from my full length article originally published in Gene Quinn’s IPWatchdog®, I outline the patent development strategy that I’ve applied from the inception of my Unicorn Pet startup. Here’s a little background: Patent attorneys are charged with drafting patents applications that disclose and claim the patentable matter of inventions brought to them by a company’s inventor. Attorneys are not permitted to “add” patentable matter to an invention, lest they be listed on the patent as a co-inventor. In short, patent attorneys have to work within, and claim the “metes and bounds” of the invention that is brought to them. 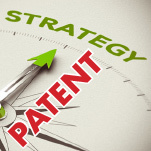 Attorneys are not marketing experts, and do not generally consider patents as a strategic tool – only a tactical tool. Their patents reflect this “put a box around the invention” approach. On the other hand, I draft patent applications that start by disclosing patentable matter of my invention. Then, as I previously discussed in my patent mapping article, I rapidly and iteratively work between the marketing and product strategy, competitive analysis, my patent landscape map, and the given patent application. It’s a multi-day immersive process that leaves me in a somewhat zombie state for a day or so. The analogy is this: my patent applications start by defining the “box” around the invention. Then I look at every angle to increase the size of my box … substantially. Increase their long-term shareholder value through relevant portfolio expansion. The tactical approach to patent prosecution typically starts with the attorney’s acquisition of “all information” related to an invention, followed by myopically drafting the application with claims establishing the metes and bounds of the invention. I say myopically because despite what many attorneys would believe, they are not trained to, nor rarely look beyond the strict perimeter of the invention. 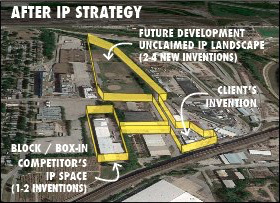 Protecting an invention using this arcane process is graphically represented in the “BEFORE IP STRATEGY” illustration below, wherein the metes and bounds of the invention are properly defined, claimed and granted. On the other hand, what most clients inherently want, is not to simply “get a patent”, but to create a defensible or enforceable techno-legal position consistent with the company’s IP strategy. Capture and maintain long-term market dominance (Intel strategy), creating a patent chain, and posturing an IP portfolio for future enforcement. Do you, as their attorney, even investigate their corporate IP strategy prior to preparing a new application? And, since you’re getting their patent business, do you really care what their answer is? “In the interest of full disclosure, I am a patent strategist, and except for independent inventors who are pursuing a cockamamie idea that has no realistic chance of commercial success, compared to the client’s original patent interest, I have been successful in doubling the number of patents my clients ultimately pursue 100% of the time. What do my clients get? Expanded portfolio and enhanced shareholder value: Check. With respect to Unicorn, Inc. I can confidently say that the number of patents that will result from my original patent will be substantially more than twice the number of my original inventions. Armed with competitive patent landscaping tools, and discovery of the patent trajectories in the pet food, pet technology and pet care segments, it’s easy for me to see the unclaimed holes that are adjacent to my core inventions, and that defines the objective to go back to the proverbial drawing board to expand my original invention to include those unclaimed holes. At the end of the day, as I described above, the patent applications that I ultimately file claim a huge box with corners extending slightly into every other box of inventions – a web of boxes. As it relates to Unicorn, Inc., I spent the first three years of the business filing dozens of patent applications across the spectrum – iteratively modifying product features and patent disclosures for pet feeding devices, nutrition technologies, food processing systems, logistics, food packaging and more – quickly, to establish patent filing date priorities before competitive product introductions. In any given industry, “ideas” that are seemingly completely disassociated are, in fact, closely aligned when viewed through the lens of a patent landscape map. An unorthodox approach to patent development? You bet. But then again, nobody builds a unicorn by following the well worn path. Thanks for this info. My brother will be launching his product. He’s now looking up some experts that will come up with a patent strategy. Another thought is to focus on what will be the have-to-have consumer benefit or “choke-point” and patent around that concept. This significantly increases the value of a patent and lowers patent disclosure/filing time and money. Thanks for the tip, Paul. I’m not fully understanding how this approach lowers disclosure time and money. It would seem to me that if you want to own the “choke point”, that you’d spend extra time and money to over-protect. What am I missing? Now at Unicorn, I had to take a broader approach since we elements of our IP are consumer-facing products, but also manufacturing processes and systems. Looked at another way – we have a product customer (the consumer), and on exit, a “company” customer (the acquiring company) – so I suppose we’re looking at two discrete choke points that will come into play at different phases of the company’s lifecycle.